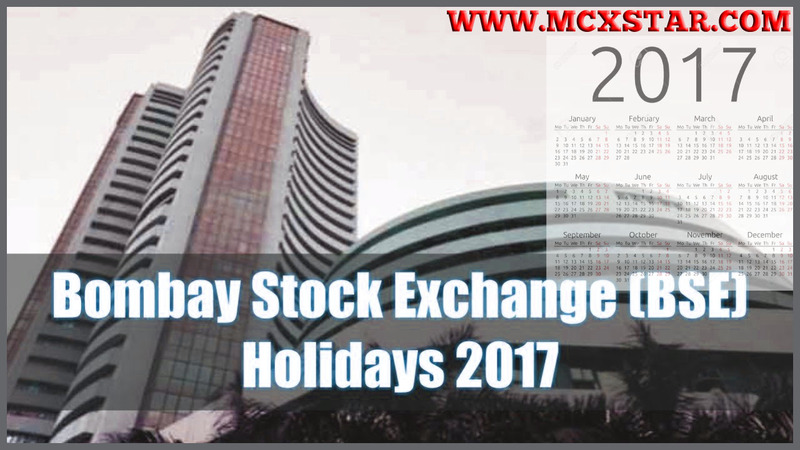 Trading Holidays for 2017 – Equity Segment, Equity Derivative Segment and SLB Segment. 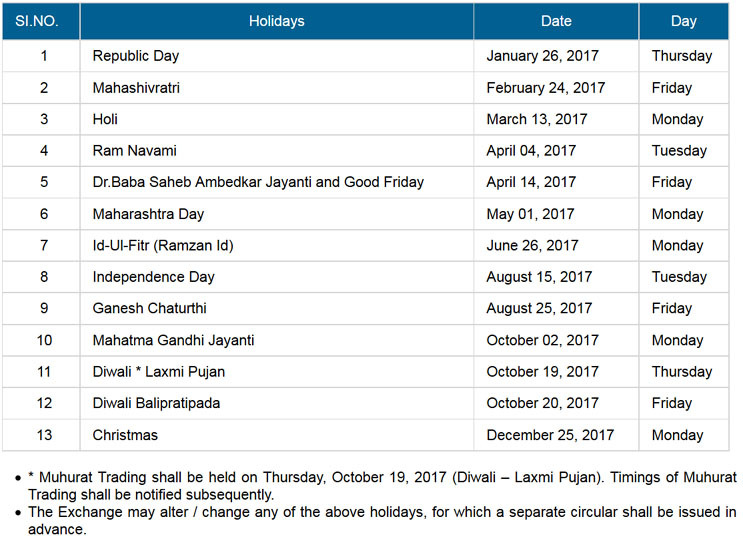 Indian share markets remain open for equity trading on all weekdays except Saturdays, Sundays and declared market holidays. Bombay Stock Exchange (BSE) and National Stock Exchange (NSE) of India remain close for trading on following days. Check if BSE / NSE is open today. • If BSE or NSE closed today? • What are Stock Market’s holiday hours? • Stock Market in India open today?